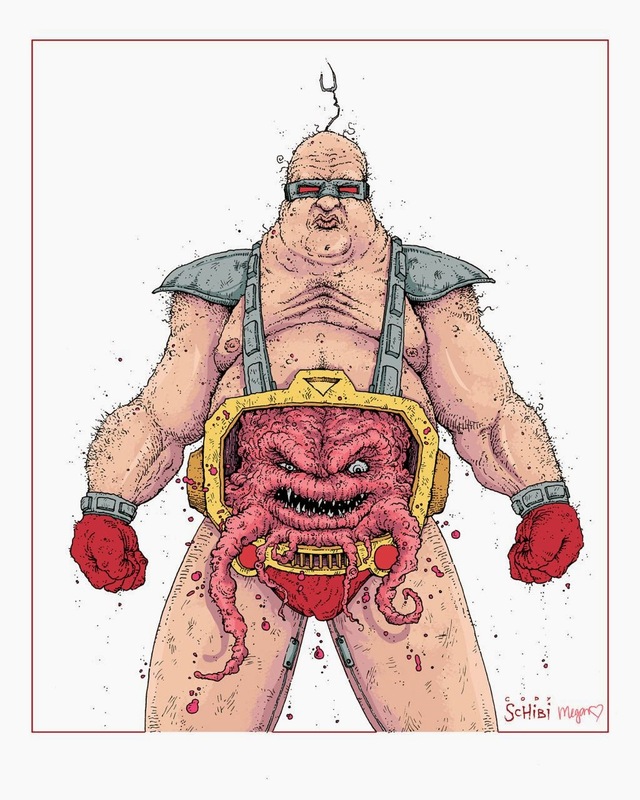 Drawing A Blank: The Art of Cody Schibi: "Shpadoinkle!" "The sky is blue & all the leaves are green…"
Some of you may recognize those lyrics right off the bat & those of you who sadly don't, have a chance to get to know them on July 22nd…you LUCKY BASTARDS(well…only if you're in or around Austin)! Those instantly catchy words are from South Park Creator, Trey Parker's first film & debut into the entertainment world: CANNIBAL! THE MUSICAL. 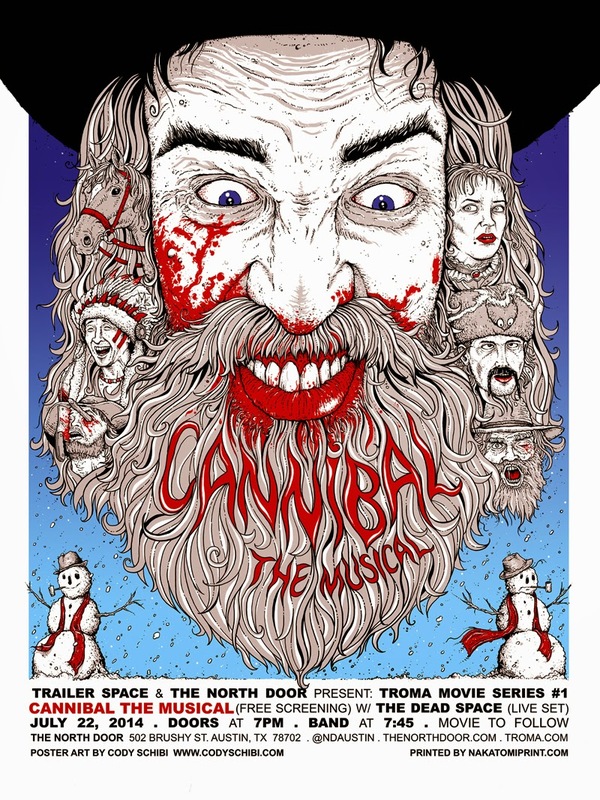 These 18x24 screen prints will be available for purchase at The North Door on July 22nd for the FREE screening of Cannibal the Musical. We're holding a few to be made available in the Nakatomi Inc. online store, so if you're unable to attend, you'll still have a chance to pick one up! All signed/numbered to ONLY 100 by my right hand & all covered in REAL blood! PLEASE do help spread the word & come out to the show! There will also be LIVE MUSIC before the viewing from locals, The Dead Space. Here's all the info for the event here. ….& I just put up my 8x10 "KRAAAAAAAAANG!" print in my online store, so if you want to hang this beautiful specimen on your wall, head to my store, order one, then wait by your front door for him to come knocking!